I’m so ready for summer, and nothing reminds me more of summer than Smores! I love biting into a gooey,melty Smore. These bars are great because they combine all the great flavors of Smores. 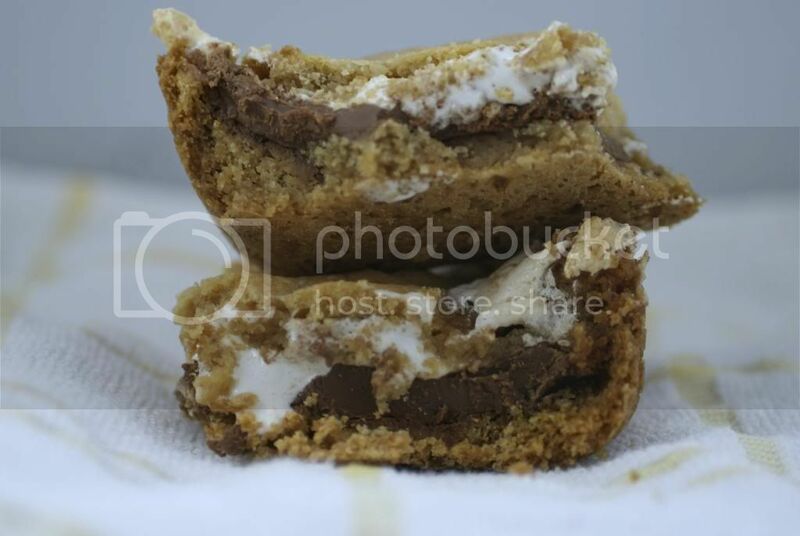 I’d argue they’re even better than a typical smore because of the cookie crust! Preheat the oven to 350°F. Grease an 8x8 square baking pan. Mix butter and sugar. Stir in egg and vanilla. In a small bowl, whisk together flour, graham cracker crumbs, baking powder and salt. Add to butter mixture. Divide dough in half, and press half of it into the bottom of your pan. Place the chocolate bars on top. Spread chocolate with marshmallow creme or fluff. Top with remaining dough. Oh my, I want to just gobble those up! They look amazing. Oh they sound soooo good–I have always loved smores!! The combo of marshmallow and chocolate–the addition of graham cracker crust makes it hard to resist! These look amazing! I think my husband would love them because they have all of his favorite things in them! I don’t think I’ve ever made s’mores bars. These look amazing! this looks down right delish! pinning for later! Those pictures look so good that now you have me craving them. So I just started a new diet yesterday and you’re already tempting me to cheat! That looks so good! Maybe if I save up my calories for a few weeks I can sneak one in! Those look delicious. Smores also remind me of summer, and I could use some summer right about now, after months and months of nothing but snow. Thanks for sharing the recipe! these look great and not as messy as smores! 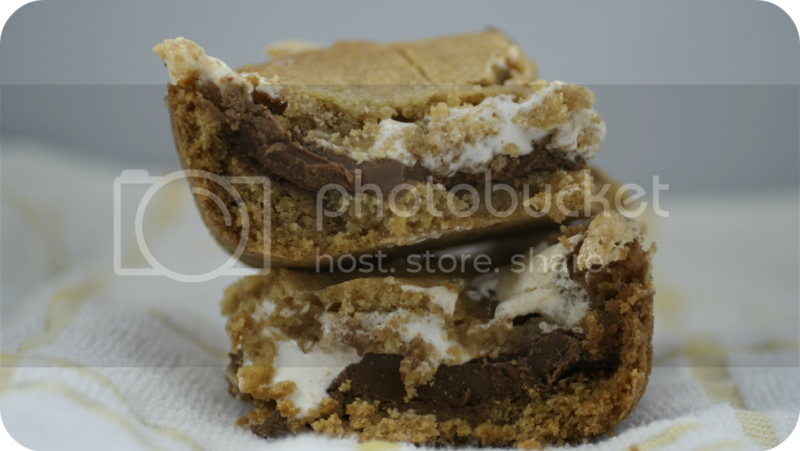 Everyone loves smores, thank you for posting this great recipe. I cannot wait to try this, yum!! !